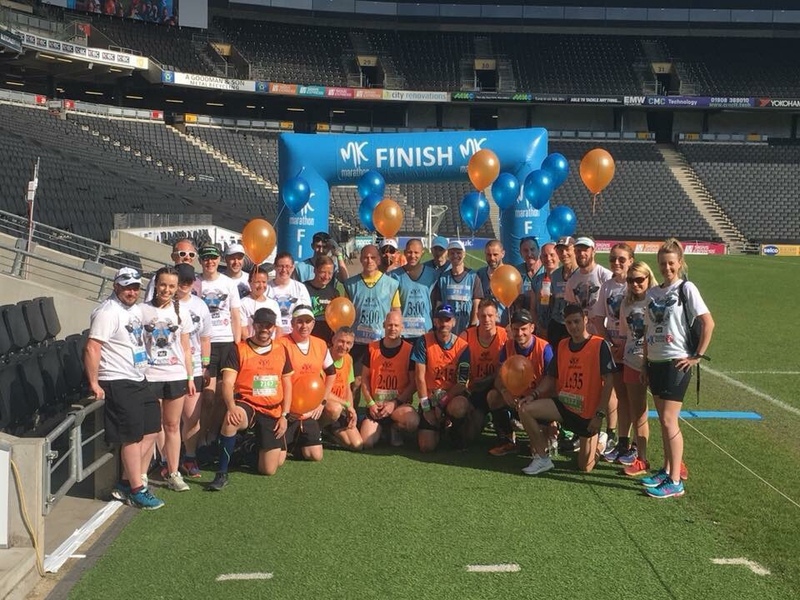 It all started when I saw that the MK Marathon were recruiting Ambassadors to help promote the race & if you were a successful applicant you’d get a free race place. 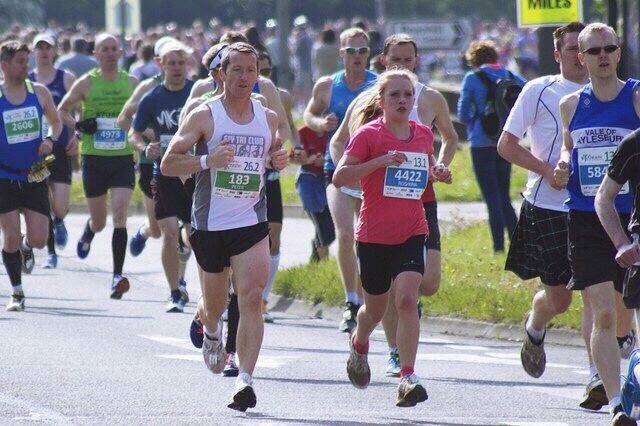 The MK Marathon is always on the early May Bank Holiday weekend with the Rocket 5K on the Sunday & then on Monday the marathon, half marathon & Marathon team Relay. Having run the half marathon in 2014 I knew it was a well organised event so I applied for the Ambassador role & I was delighted to be accepted. 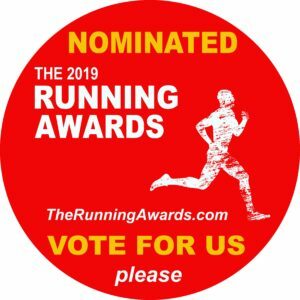 At that time I was also in the ballot for the London Marathon but no one gets in that right? I didn’t get in the ballot & was all set for MK to be my Spring Marathon. I was then offered a place via New Balance which I obviously accepted so I ended up with 2 marathon places in 2 weeks. I figured I was lucky to be able to do two prestigious marathons so I would go for it but take it a bit easier than normal at both. Being an Ambassador was awesome, I was sent a t shirt & hoody & registered for my place. All I had to do was retweet MK Marathon posts, & do some posts of my own across social media. I even ended up on BBC Three Counties Radio with Race Director Andy Hully. 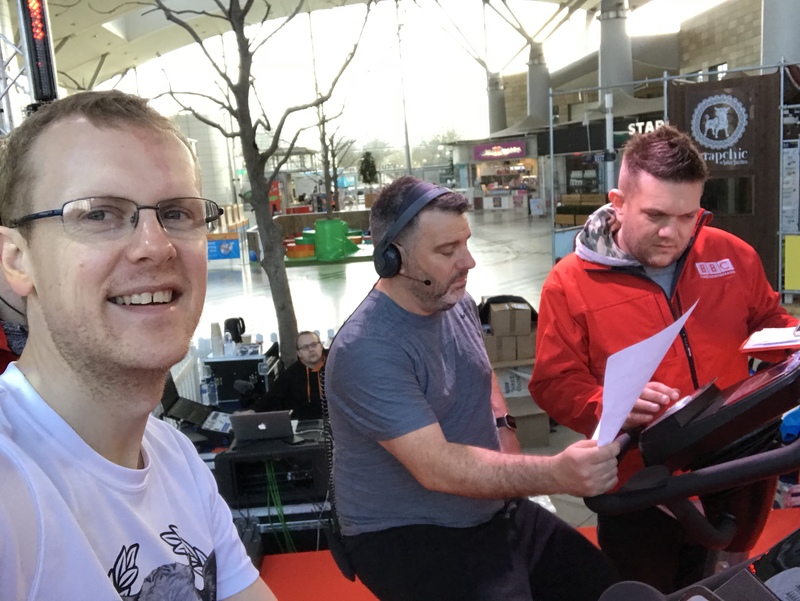 We’re we’re cycling alongside radio & TV presenter Andy Collins & glamour model Tracey Kiss as part of Sport Relief & talking about the MK Marathon. Afterwards me, Andy & Portia went for a nice run around MK’s Caldecotte Lake. I saw that if you did any one of the Monday races & also the Rocket 5K you’d get a bonuses medal, so I signed up for the Rocket too. Race weekend arrive & the Rocket 5K lived up to its name. A really fast route with loads of people getting a PB/PR. 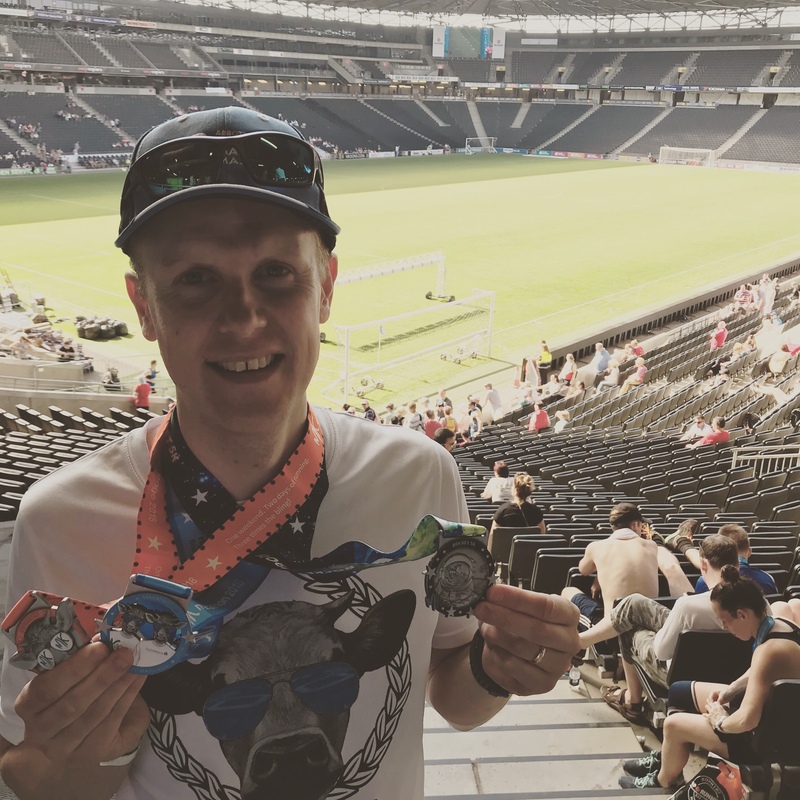 It starts at a pub where you pick up your bib, toilets are obviously there & it was a really easy to follow route, finishing outside the MK Stadium. Too tip, if you’re with others take 2 cars & leave one at the end so you can get back to the start. The Marathon & Half Marathon started outside Stadium MK & finished inside it. 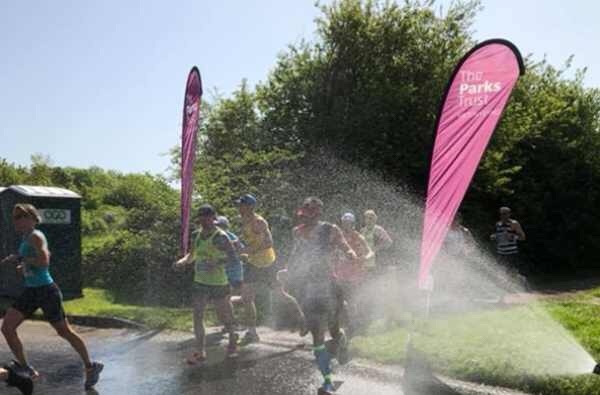 The route was predominantly flat, went through the city centre, around Willen Lake, & through many parks, it was scenic & with it being so hot the locals were out with hoses & water guns really supporting the runners ? I was an Ambassador but honestly it was a great race. You can tell when every details has been meticulously planned & this had been. They also do a ‘Legends’ medal, finish 5 MK Marathons & become a legend. Would I go back 4 more times? Absolutely & hopefully I can pick up this accolade in the future.